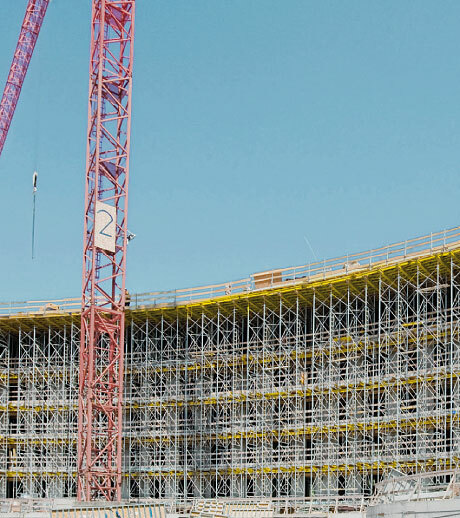 These tried-and-tested systems give your site crew optimum pro­tection and make a significant contribution to a smooth workflow. When the crew are properly protected, they work safely, which also means more rapidly and thus more efficiently – for your success. For safeguarding exposed edges on buildings, the Handrail clamp S can easily be attached to any point on a timber formwork beam. 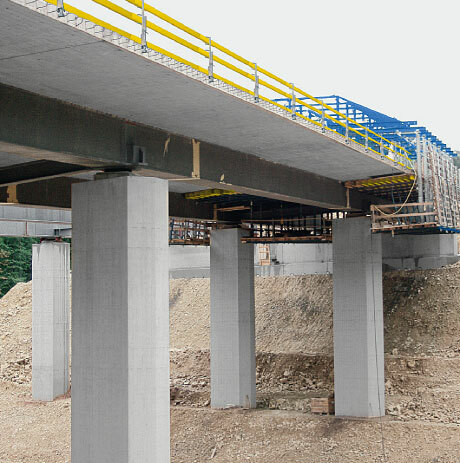 Its wide clamping range means that it can be used for putting up guard rails in many different parts of the site, on the formwork and the structure. The Handrail clamp T provides a high level of safety: from when the slab or superstructure is cast until the permanent railings are erected. This clamp can be fixed anywhere: to reinforcement hoops or to Bridge edge beam anchors – with no need for any adapters or accessories. 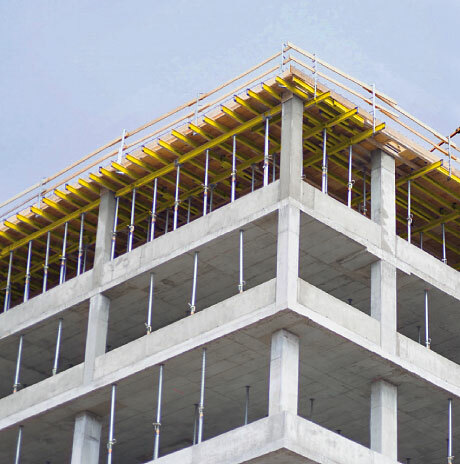 A wide range of additional applications for fall-arrest barriers on precast concrete stairways or hollow-element walls is also possible. The Handrail post 1.10m is a fast and very safe way of putting up safety railings. 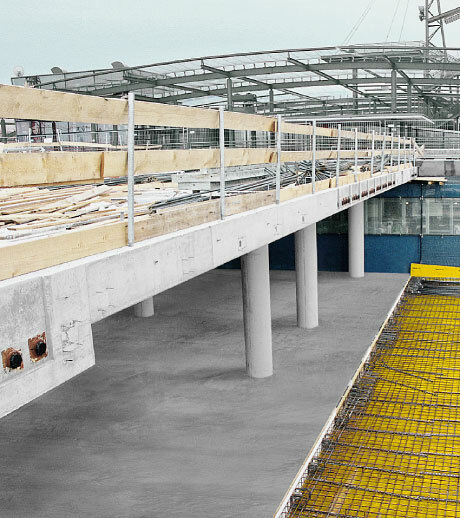 Handrail posts 1.10m can be deployed along slab-edges, floor openings or other fall-hazard locations, or for opposing guard-rails on wall formwork. The hot-dip galvanised all-steel construction of the Handrail post 1.10m gives it a very long lifespan. Thank you for your interest - Handrail posts and clamps. Thank you very much for your interest - Handrail posts and clamps.